Patience. I am trying to exercise patience waiting for spring. However, yesterday on my way to work my Jeep registered -22. We still have loads of snow outside and I am determined to believe that it will make spring even sweeter. 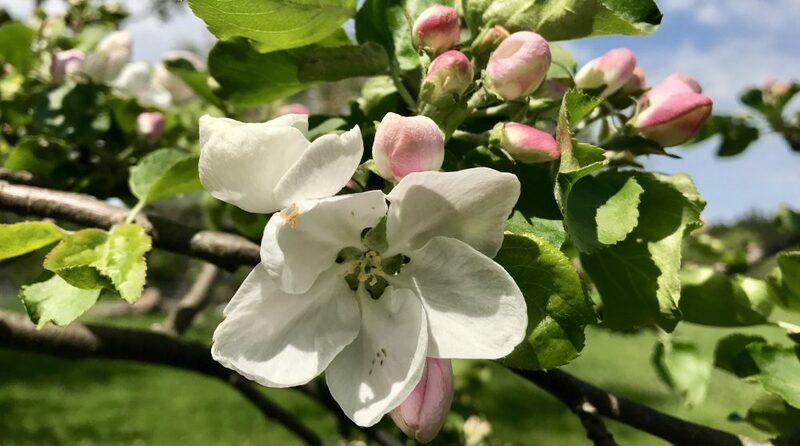 I do know that I am looking forward to being on spring holiday next week so watch for a flurry of blog posts. I have many recipes to post, including a Creamy White Bean Soup with Green Chilis, Kale, and Tomatoes, a couple jarred salads, mushroom stroganoff, and I am dreaming up a couple more. Tonight I was dreaming about summer and thinking about how I would like to share some smoothie recipes that would be a healthy, plant-based substitute for ice cream. Sometimes I want something sweet after dinner (aside from fresh fruit) and when this happens I like to blend up a dessert smoothie. Tonight I made a Chocolate Covered Strawberry Smoothie and it was perfect. It only had four simple ingredients and was free from artificial ingredients and refined sugar. This recipe is also delicious with cherries and you could add spinach and chia, hemp, or flax seeds for a nutritional burst. Check out my other smoothie recipes HERE. I hope you enjoy this smoothie much as I did. Please make sure to stop by my Facebook page and feel free to share my recipes. Stay tuned for more ideas how to incorporate more fruit and vegetables into your meal plan. 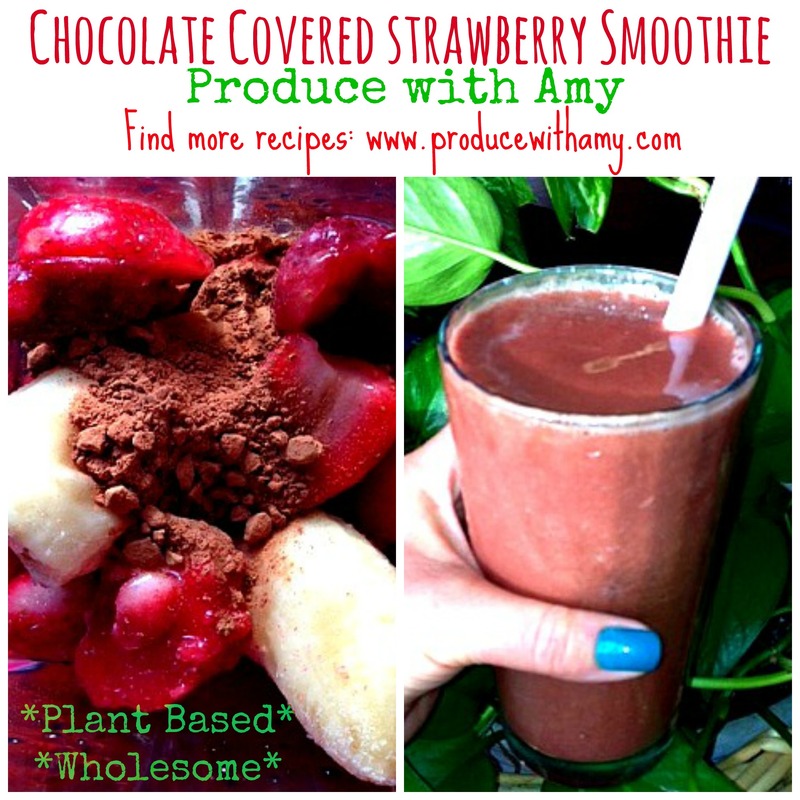 This entry was posted in Smoothie and tagged chocolate covered cherry smoothe, dairy-free smoothie, plant based smoothie, strawberries, strawberry smoothie, Vitamix by Amy. Bookmark the permalink. Sally, I hope you enjoy it! My goal for the summer is to post different combinations ~ I love these plant-based “shakes” with fresh mint from my garden. With this combination I love to vary the cocoa powder. So you may want to add a bit at a time until you’re happy with the taste. The coconut water gives it a bit of a refreshing taste, while coconut or almond milk makes it taste more like a milkshake. Let me know what you think.